Who ordered the 6/17/72 re-entry into DNC headquarters, Mitchell, Magruder or Dean? Mitchell denied everything, claiming no involvement whatsoever. Magruder claimed Mitchell was the motivating factor — that he had personally expressed dissatisfaction with the fruits of the intelligence plan in front of Liddy, who immediately agreed to remedy the situation (ie: to fix the non-functioning bug in O’Brien’s office). 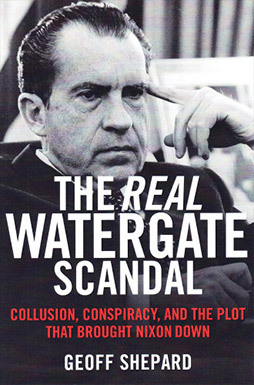 Liddy remained silent throughout the scandal’s unfolding, but his later book (written after the statute of limitations had tolled) claimed that Magruder had sent them back in – saying he wanted to know precisely what O’Brien was thinking about. Len Colodny, in his book Silent Coup, lays all the blame on Dean. Liddy then adjusted his account, agreeing with Colodny that it was Dean who had been leaning on Magruder. There is no written record, so additional evidence is unlikely to emerge. With Mitchell and Magruder dead, this question just isn’t going to be answered at this point.